Hi folks, I’m in a middle of designing a portfolio section for one of my client. The requirement was to perform an animation while hovering on the image. 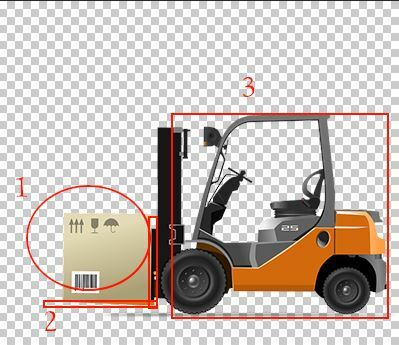 For e.g., imagine a forklift machine lifting an object when the mouse hovered on the image. To do that, I need to break down the idea into three images – the forklift, lever that lifts the object and the object itself. The first step involved in creating all the three images with same width and height and importantly with a transparent background. Now look at the below HTML code, you would think the images are placed adjacent to each other isn’t? Let’s have another look at the HTML code shown above. The portfolio-box class is the container with size: 400px X 344px. The portfolio-animation contains the background image and three images as its child elements. The 3 images are The freight (down-1.png), the forklift lever (forklift-liver.png) and then the forklift (forklift.png). So, let’s overlap these images now. Solution: It is quite easy. I just need to play with CSS to overlap three images. You can also position the images using the left or right attribute. 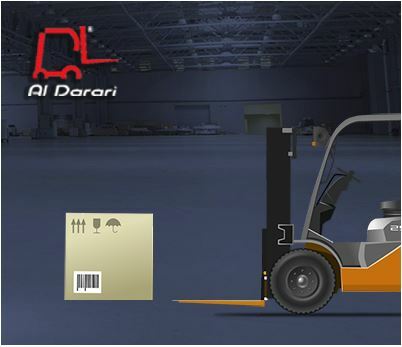 Here I have used left: 107px for the forklift and the forklift lever to be positioned towards right and with overflow:hidden. To position the images as overlap, you need to use position: absolute for the first 2 images.